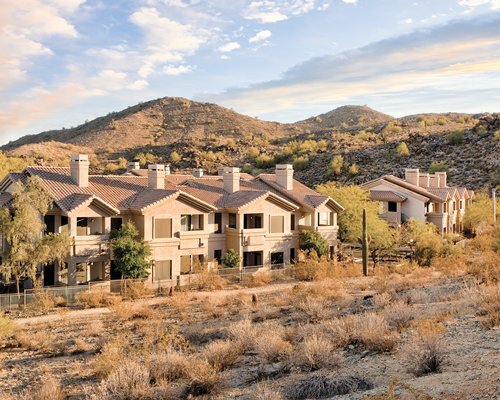 Just steps from the resort's front door and yours, are trail access and staging areas to explore the South Mountain Preserve's 17,000 acres of breathtaking desert vistas. 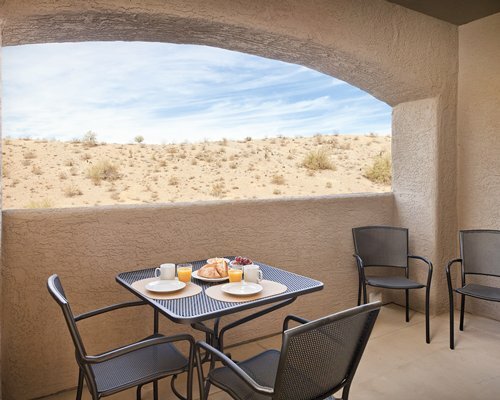 Come discover a stunning variety of desert wildlife and rare pertoglyphs created centuries ago by Native American Indians. 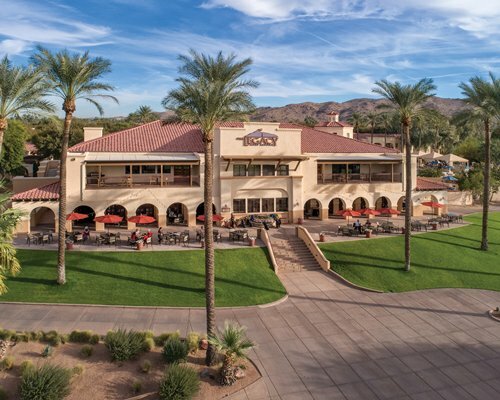 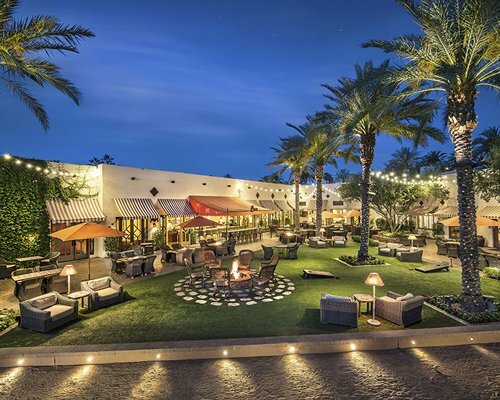 The resort is where you can enjoy the area's 300 days a year of sunshine by luxurious pool, relaxation in the heated outdoor Jacuzzi, outdoor barbecue area, wireless Internet, and computer and printer in the lobby. 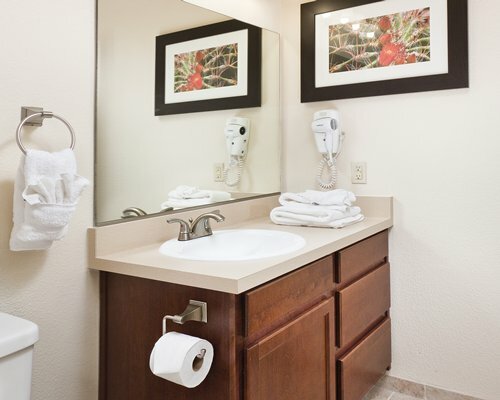 Internet access is available for a fee. 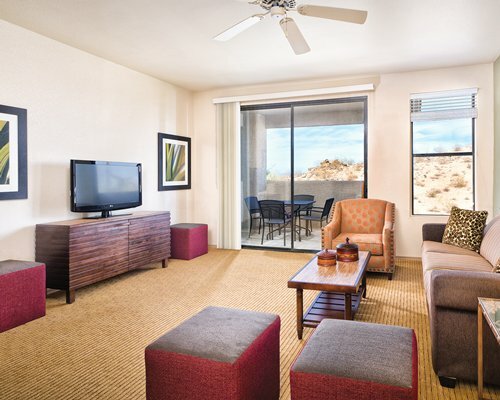 Masterfully designed to reflect the Native American spirit and the natural serenity of the desert, the resort's accommodations welcome you home to spacious comfort and elegant appointments. 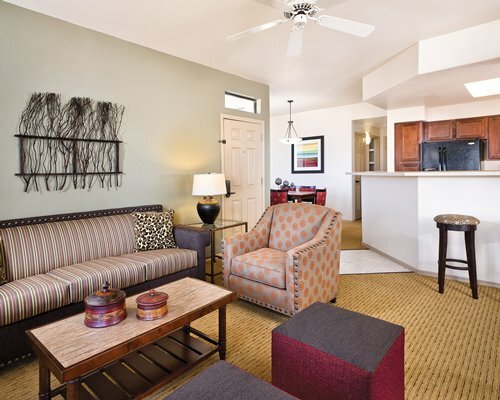 Choose from 1-bedroom, 2-bedroom and 3-bedroom suites, replete with king/queen beds, full baths and Roman tub. 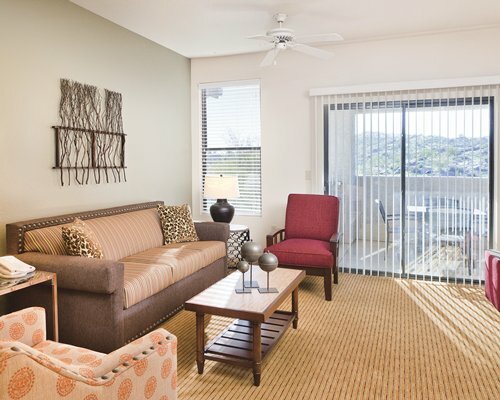 Living rooms with sleeper/sofa make it easy to accommodate 4 to 8 guests. 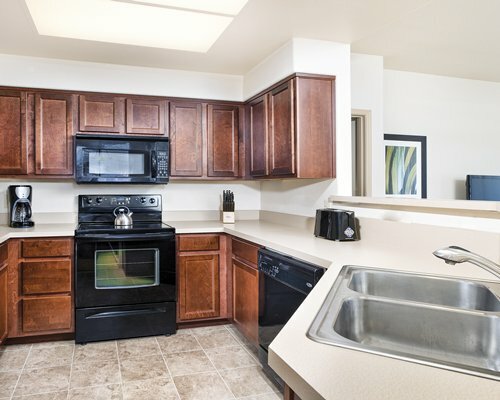 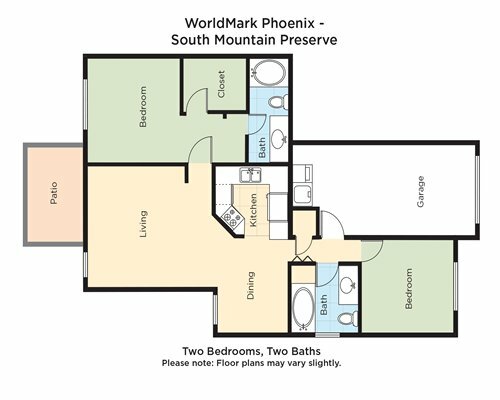 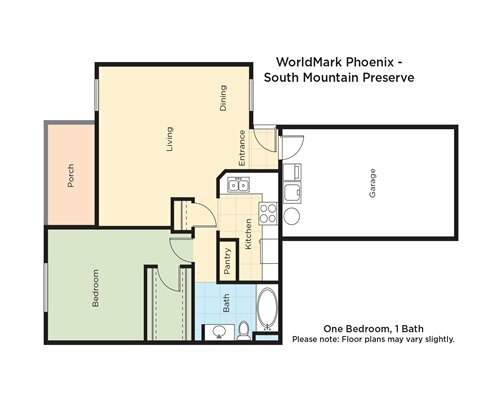 All units are well equipped with impressive, full kitchens, plasma flat screen cable TV, DVD player, wood burning fireplace in select units, free telephone calls, and private patio/balcony. 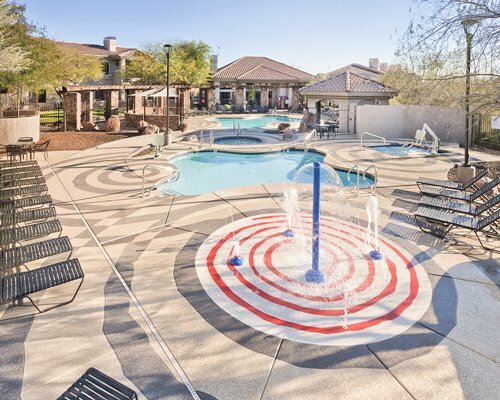 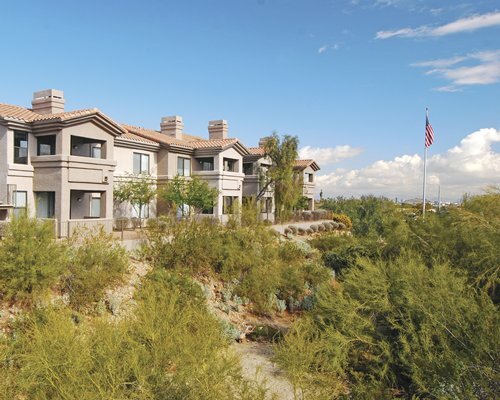 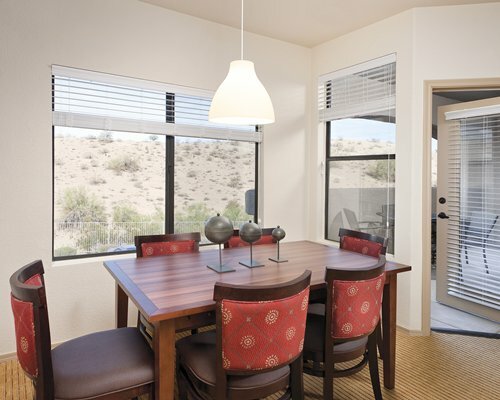 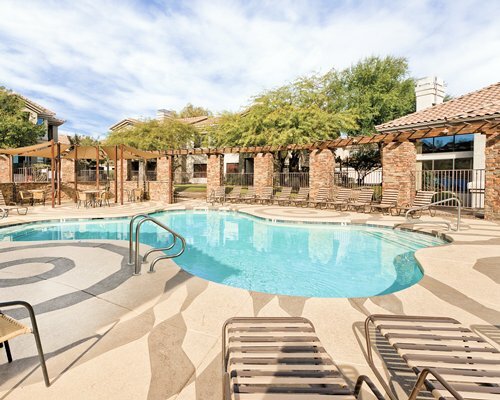 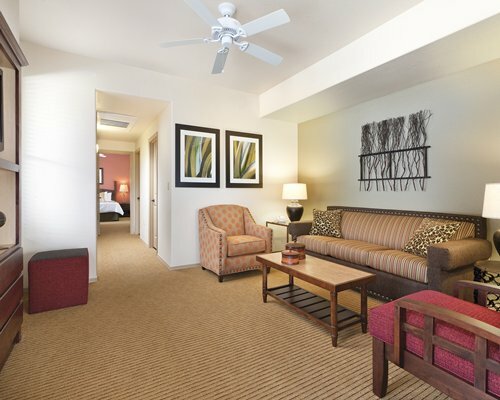 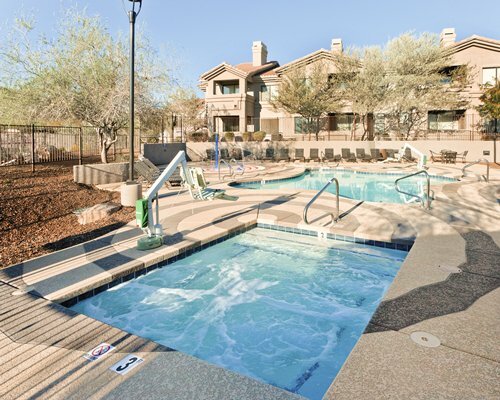 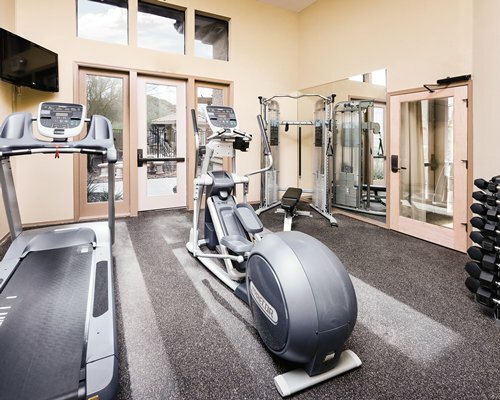 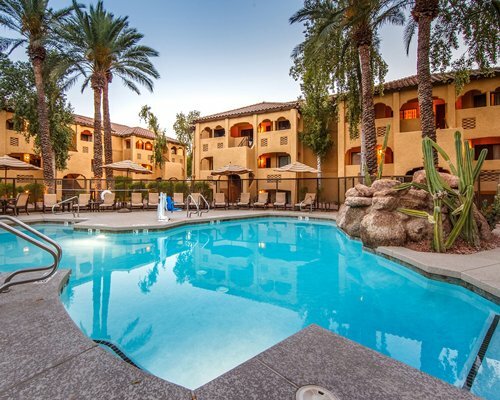 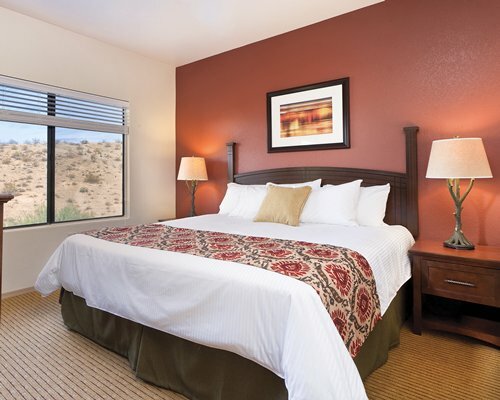 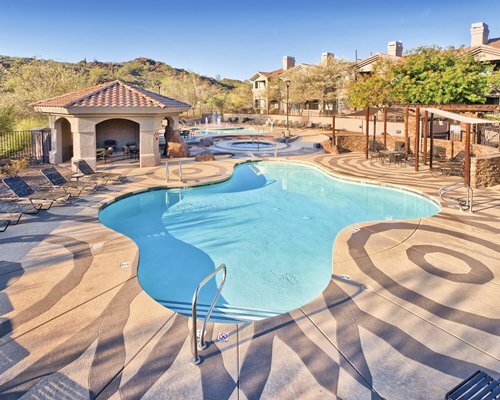 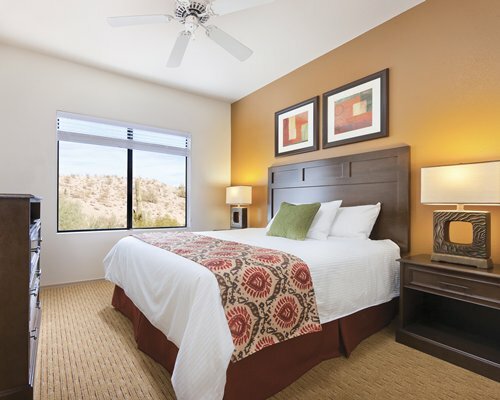 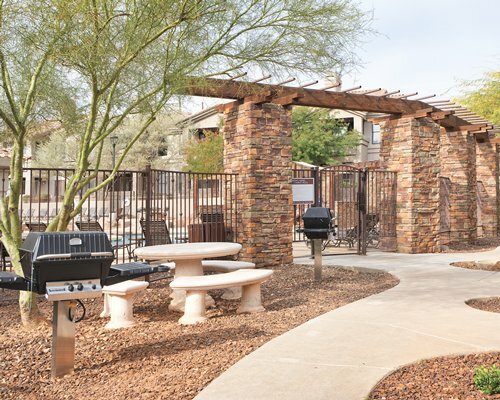 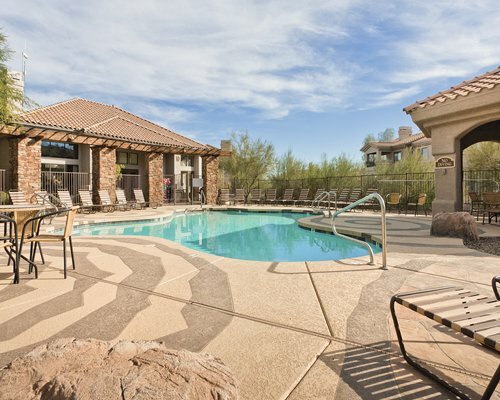 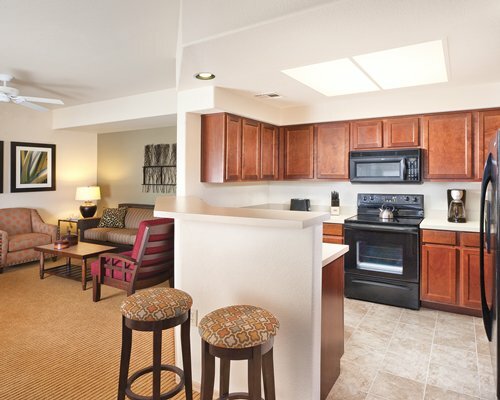 Desert Arroyo Phoenix is located 15 minutes from Sky Harbor (Phoenix) airport. 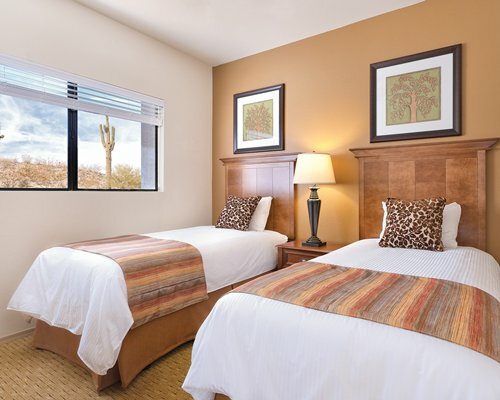 From the car rental terminal: Exit car rental terminal, turn right at 24th St. Travel approximately 3 miles to Baseline Road, at Baseline Road turn left, travel approximately 2 miles to 48th St. At 48th St. turn right. 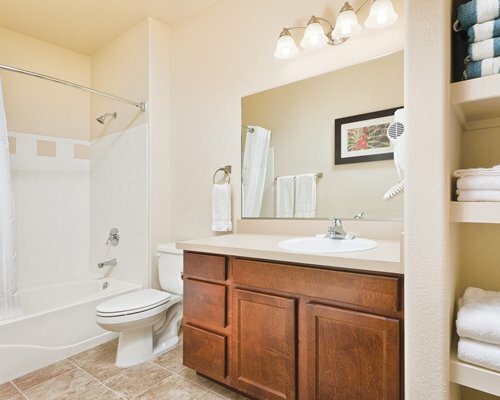 Once on 48th St. count stop signs and at the 3rd Stop sign turn right. 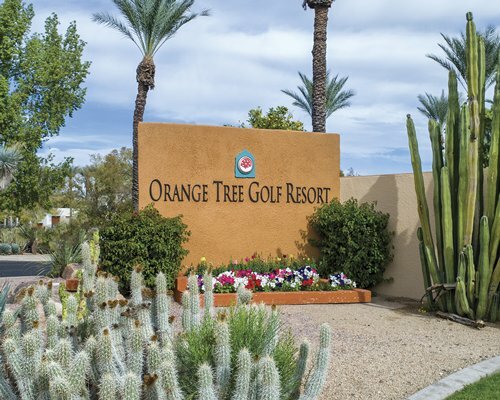 You are now on Francisco Drive; follow Francisco Drive to the very end of the road and you will see the resort on the hill to your left. 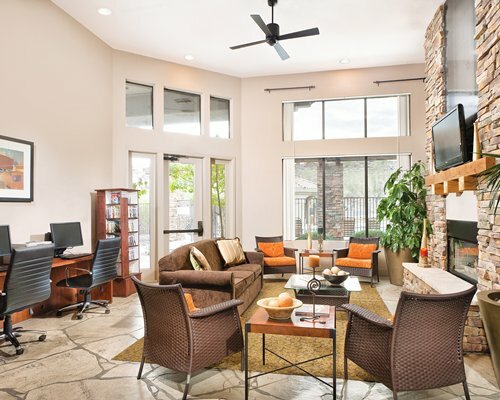 If you need additional help, please call us at (602) 386-1900.